More and more consumers are switching to LED light bulbs, not only because of the energy savings, but also because these bulbs are supposed to last for an incredibly long time. But a new class action lawsuit claims that these expensive bulbs aren’t lasting nearly as long as advertised. 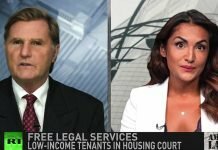 Ring of Fire’s Farron Cousins discusses this issue with Scott Hardy from Top Class Actions. Farron Cousins: Consumers across the country had been switching to LED light bulbs for several years now, mostly because they’re supposed to last a lot longer and they’re supposed to be more energy efficient, eventually saving you money in the long run, but not all of these LED light bulbs are created equal and some of them are not lasting nearly as long as they’re advertising. Joining me now to talk about this is Scott Hardy from topclassactions.com. So Scott, there’s a lot of different brands of LED light bulbs out there. I’m sure if you go to any kind of big box store or a supermarket, you’re going to see tons of light bulbs, but these LED bulbs that came out, you know, not even that long ago, they started selling these. They’re a lot more expensive, but you’re supposed to get, you know, 20, 30 years of life out of these so it’s okay to pay a little bit more. It’s going to save you cost on your energy bill, but they’re not all doing that, are they? They’re not lasting 30 years, are they? Scott Hardy: No. That’s the thing is everybody bought these bulbs said, okay, I’ll pay three, four, five, six times what a regular light bulb costs or more because I’m not going to have to replace this thing for years and years and years. That’s the way they were pitched. But as we’re seeing in actual action, that’s not the, that’s not the case. Instead of having a bulb that might last for 10 years, we’re seeing these bulbs last for months, maybe a year, sometimes even just weeks. And so people are finally catching onto the fact they might’ve been swindled on the idea of these bulbs and how amazing they are and how long they will last, when in fact it’s just not that great. And it’s interesting. This class action was filed by a number of different law firms and so I think that we’re going to see this one as kind of the tip of the iceberg. This is going to be the first litigation that’s filed against Cree for their LED light bulbs, but I think we’re going to see a lot of additional litigation filed against every single manufacturer of LED light bulbs because of the way they’re marketed and the promises that were made, but it’s just false. It’s just fake. People just kind of made these stats up and they might’ve had one light bulb that they tested in, you know, in a laboratory environment. But in actuality it’s just not going to work out that way and people are really disappointed that instead of getting something that should last for years and years, it’s going bad after a couple of months. Farron Cousins: And you know, I think people who, who’ve purchased any of these bulbs, they understand this is not just a dollar or two difference in the price. You know, you’re paying a lot more for these LED light bulbs and if you’re going for some of the smart LED light bulbs, you’re looking at $30, $40 per individual light bulb sometimes. Okay. These are not inexpensive. These are very expensive, especially when compared to their non LED counterparts, but you’re buying quality, you’re buying longer life, you’re buying energy efficiency because that is what is right there on the packaging. That is how these things are marketed in their commercials. They’ll tell us, look, you buy this light bulb. Yeah, you’re going to pay $15 for this as opposed to $1 for the non LED, but you don’t have to touch this light bulb again for 20 years, 20 years. You may not even own that home anymore. Who knows where you’ll be in this crazy world, but you won’t have to worry about that LED light bulb and unfortunately that’s just not the case. I mean, I hate to sound so cynical, but it’s like at this point, nothing is as advertised. 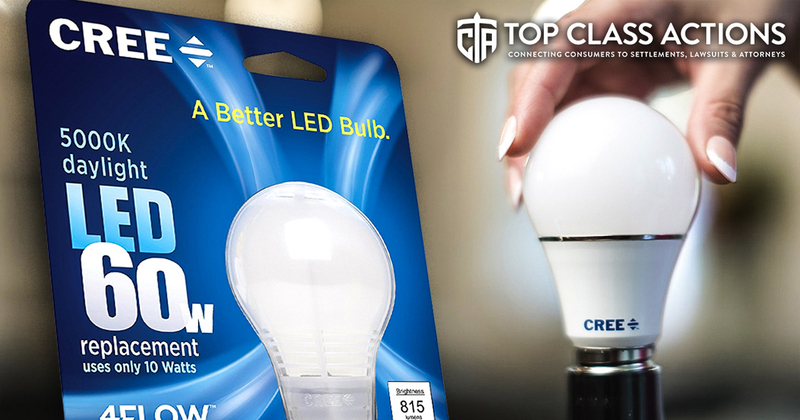 If it seems like it’s too good to be true, as is the case with these LED bulbs from Cree than it clearly is too good to be true. Scott Hardy: Yes, that’s the thing is that people are buying these things and I just remember advertisements where they were talking about how long these bulbs would last and you’ve got a guy who puts in the bulb and they go back to the picture and he’s older because it’s years and years later and that’s the way they’re pushing these things. As you said, it’s one of those things, oh, I can put it in this bulb and wow, I don’t have to replace it for years. I know that for me, any LED bulbs that I’m putting around my house, one is going bad every six months to eight months and I’ve just been there for two years. So with the promises that we’re getting from these manufacturers just aren’t delivering and hopefully the lawyers behind this will really get to the bottom of it and I’m curious to see the research as these manufacturers try to stick to their guns and fight for the claims that they made. What was actually done to prove their claims and I think that that’s, that story is going to unravel relatively quickly. Farron Cousins: Yeah, and to me that’s going to be part of the really interesting stuff is getting the, you know, your hands on some of this internal company research because they say, you know, that these light bulbs are supposed to last between 15 and 32. That’s actually how they’re advertised 15 to 32 years, but this technology hasn’t even been around for that long, so how can you claim that we know it’ll work for 32 years when you haven’t even been able to test it for 32 years. That’s going to be really interesting to see what kind of methodology they use to say, okay, well it’s been on for a week now, uh, I think it would probably go for another 32 years. I mean, at this point they’re guessing they’re really just guessing how long this light bulb’s gonna last. Scott Hardy: That’s right, that’s right. These guys are extrapolating out, well, if you use this light bulb for five minutes a day, yeah it’ll last for the next 15 years. Not even, oh God forbid you want to actually use your light bulb for hours and hours everyday. No, no, no, that might be months or maybe a year, but that wouldn’t go well in their marketing, on their marketing package. Farron Cousins: Absolutely not. If you’ve purchased any of these LED light bulbs, experienced problems with them, early burnout, whatever it is, please follow the link in the description below this video is to topclassactions.com. Find out all the information that you need. There’s a good chance you may qualify for this. So again, please topclassactions.com and Scott Hardy from topclassactions.com. Thank you for staying on top of this for us. Scott Hardy: Thank you Farron.